With the construction for the Gervasi distillery and boutique hotel underway, GV Destinations has released the name, renderings and logos for the two new buildings that will reside on the south end of the 55-acre estate. The distillery is cleverly named “The Still House at Gervasi Vineyard”. A still is an apparatus used to distill liquid mixtures by heating to selectively boil and then cooling to condense the vapor. 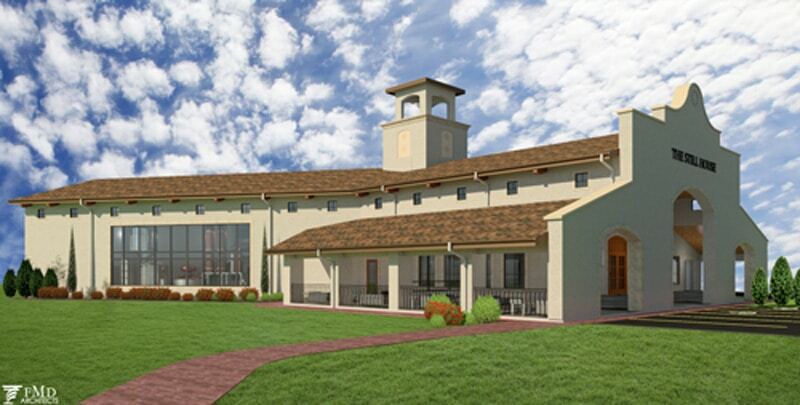 The Casa will feature a shared lobby and offer an exercise facility for Gervasi guests. The lavish guest suites will mirror the suites in The Villas with high end amenities and features: luxury king-sized beds, in-room fireplaces, heated tile floors, heated towel bars and grand showers, as well as other deluxe amenities. In addition, each guest suite will have a covered veranda with direct view and access to a private courtyard and pond with beautiful gardens.